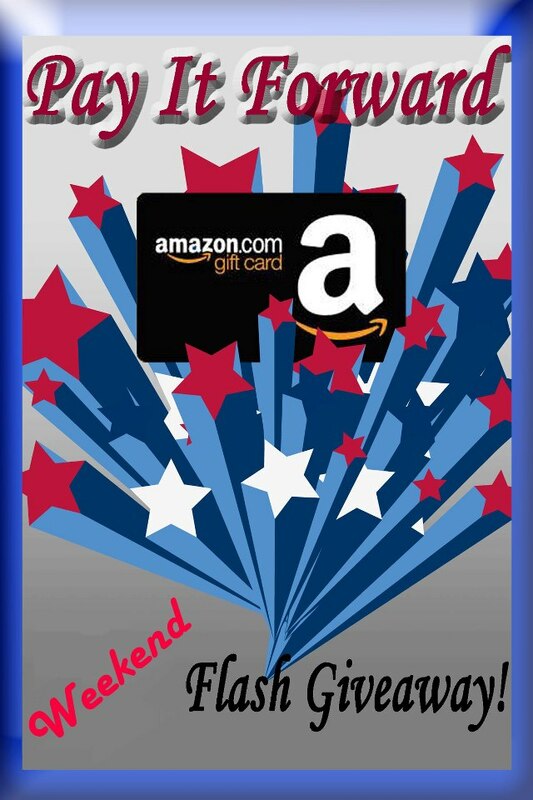 One Mom's Moxie: $50 Amazon Gift Code Weekend Flash Giveaway! Welcome to the Pay if Forward Weekend Flash!! One lucky winner will get $50 Amazon Gift Code!! What do you buy at Amazon? Games, groceries, jewelry, books?? Enter below on this super easy rafflecopter!! Be sure to complete the mandatory entries and only claim the entries you have completed! Knives, electronics and a lot of other stuff but mostly knives. household decor! i always find neat stuff for cheap prices! I like to buy books. I usually buy things for my kids, books, movies, or electronic items! My favorite thing to buy at Amazon is books.